The majority Democrats on a House of Representatives committee are moving this week to subpoena the full report from special counsel Robert Mueller’s investigation of Russian meddling in the 2016 U.S. presidential election and five former White House officials. The House Judiciary Committee had called for full disclosure by Tuesday of the nearly 400-page report and its underlying evidence. Attorney General William Barr said last week that he would release the report by mid-April, “if not sooner,” after confidential material had been redacted. 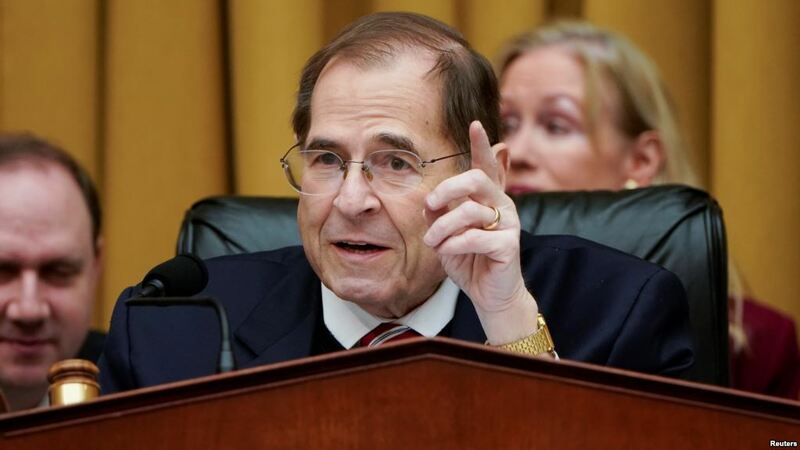 With its Tuesday deadline unlikely to be met, the House panel plans to vote to authorize the subpoenas on Wednesday, allowing the committee’s chairman, Congressman Jerrold Nadler, to actually issue them as he sees fit. 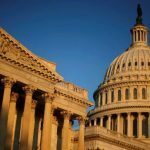 The House committee also plans to subpoena some of President Donald Trump’s closest one-time advisers — White House strategist Steve Bannon, communications director Hope Hicks, his first chief of staff Reince Priebus, White House counsel Donald McGahn and McGahn’s chief of staff, Ann Donaldson. The five officials were likely key witnesses during Mueller’s investigation of whether Trump obstructed justice by trying to thwart the prosecutor’s 22-month probe. 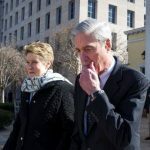 A week ago, Barr released a four-page summary of the Mueller report, telling top lawmakers that the prosecutor had concluded that while Russia had interfered with the U.S. election, Trump and his campaign did not collude with Moscow to help him win. 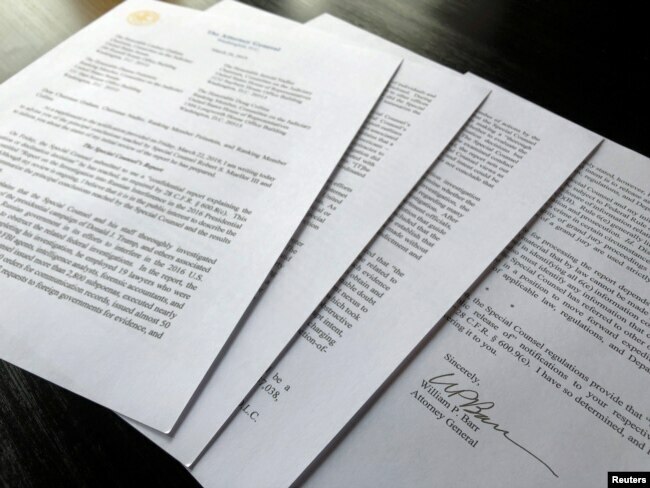 U.S. Attorney General William Barr’s signature is seen on a four-page letter to congressional leaders on the conclusions of Special Counsel Robert Mueller’s report on Russian 2016 election meddling, March 24, 2019. At the same time, Barr reported that Mueller reached no conclusion on whether Trump obstructed justice. He quoted Mueller as saying that on the obstruction issue, “while this report does not conclude that the president committed a crime, it also does not exonerate him.” Barr and Deputy Attorney General Rod Rosenstein, after their review of the report, decided that obstruction charges against Trump were not warranted. 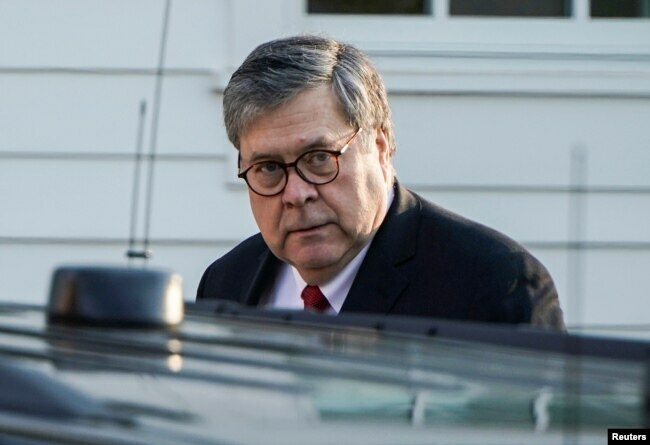 U.S. Attorney General William Barr leaves his house in McClean, Virginia, March 25, 2019, after Special Counsel Robert Mueller found no evidence of collusion between U.S. President Donald Trump’s campaign and Russia in the 2016 election. 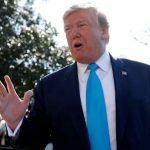 After assailing Mueller and his investigation for months as a “witch hunt,” Trump has claimed complete exoneration from both the collusion and obstruction allegations, while Democrats have started to accuse Barr, a Trump appointee, of trying to protect the president with his abbreviated summary. 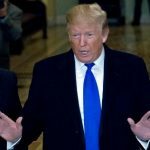 On Monday, however, Trump unleashed new attacks on opposition Democratic lawmakers for pursuing their investigations.